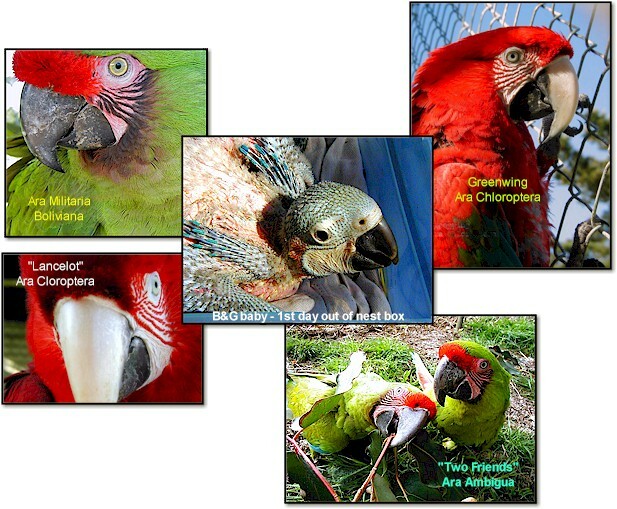 Parrot Preservation Society has a few changes in the past few years. Unfortunately on April 29, 2005 Barbara passed away. Christine is now running Parrot Preservation Society. Geoffrey is taking care of the farm and helping with advise, as he no longer runs Parrot Preservation Society. Dave is still our Web Master for whom I am so grateful, for without him my mom’s dreams and knowledge would not still be available. Volunteers are always needed. Would you like to come to the farm and help clean out water dishes? E-mail or give us a call. Donations are still always welcome to help purchase nuts for the Parrots. If you would like to help, you can send a donation to the farm for the purchase nuts or you can call The Nut House in Los Angeles, CA at 213-623-2541 and order a bag of nuts of your choice and have them shipped to the farm in CA.